Witness a love that will break barriers as romantic drama Five Feet Apart premieres at SM Cinema. ‘Five Feet Apart’ is a 2019 American romantic drama film written by Mikki Daughtry and Tobias Iaconis. 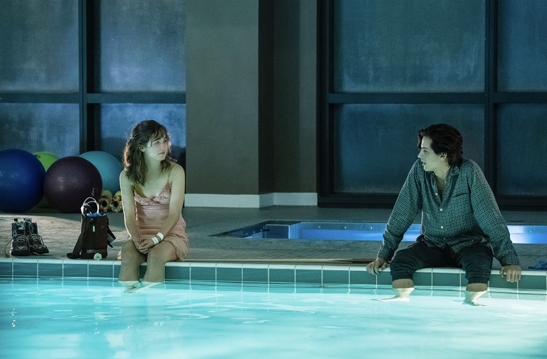 Cystic Fibrosis patients Stella (Haley Lu Richardson) and Will (Cole Sprouse) feel an instant connection when they meet at the hospital, but their life-threatening disease demands that they always maintain a distance of at least six feet from each other. As their attraction intensifies, will they be willing enough to break the rules for a chance at love despite all the risks. To celebrate the release of Five Feet Apart, which premiered on March 20, SM Cinema partnered with Spoken Word MNL and Collaboratory PH. Spoken word artists were given the chance to showcase their work to the audience during the premiere of the movie at SM Cinema. Catch Five Feet Apart at SM Cinema branches nationwide. Book your tickets through the website, www.smcinema.com or download the SM Cinema mobile app. You may also follow /SMCinema on Facebook and @SM_Cinema on Instagram for updates.